Dawn to Sunrise full sky time-lapse video. Images taken with a Nikon D850 camera and 8-15 mm fisheye lens (ISO 400, 10 mm, f/4, various). Raw images processed with Capture One Pro, and the time-lapse video created with PhotoShop CC. Gone to See Europe 2014. Day 40: Semester at Sea, Summer 2014 Semester Voyage. Dublin, Ireland. 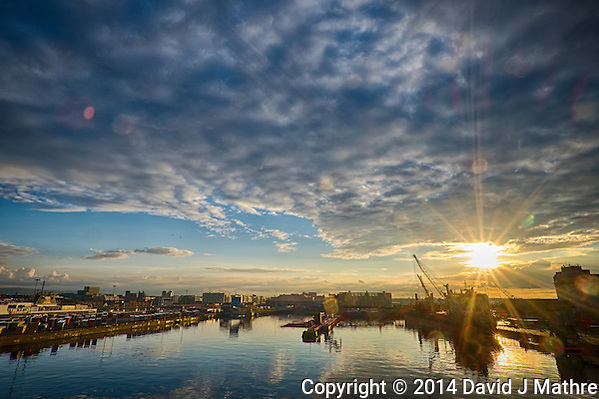 Sunset over the Port of Dublin from the Deck of the MV Explorer. Composite of 3 images taken with a Fuji XT1 camera and Zeiss 12 mm f/2.8 lens (ISO 200, 12 mm, f/16). Raw image processed with Capture One Pro, Nik HDR Efex Pro, Nik Define, and Photoshop CC 2014. Gone to See Iceland in the Winter. Day 1: Reykjavik. Sun Voyager (Sólfar). Winter in Reykjavik. From Wikipedia “Sun Voyager is a dreamboat, an ode to the sun. 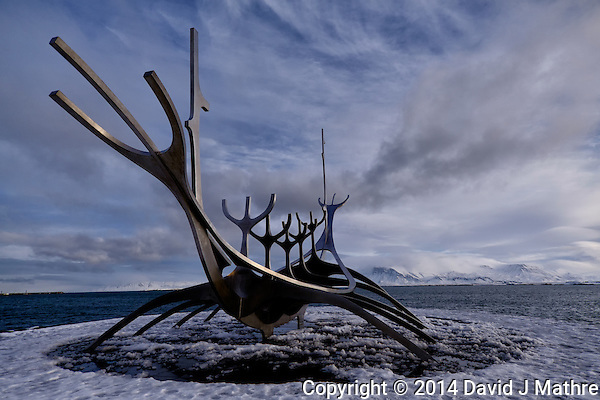 Intrinsically, it contains within itself the promise of undiscovered territory, a dream of hope, progress and freedom.” Last summer when I visited Reykjavik there were many people surrounding the sculpture, and even more taking pictures. This morning it was snowing and cloudy. The sun started to come out and I found myself alone at the site. Within 5 minutes many more came and I was no longer alone. Image taken with a Fuji X-T1 mirrorless camera and 12 mm f/2.8 Zeiss lens (ISO 200, 12 mm, f/2.8, 1/3500 sec).